"Wales have home advantage and better players at their disposal. The [2.02] about a winning start for Giggs appeals and it would be a surprise if they weren't shorter by kick-off." Revenge is a word that has been thrown around ahead of the UEFA Nations League opener between Wales and the Republic of Ireland on Thursday. It's 11 months since Martin O'Neill's side came to Cardiff and secured the win that ended Wales' World Cup hopes although Irish joy was short lived - they were taken apart by Denmark in the playoffs a month later. There was a bit of spice heading into that game as Irish skipper Seamus Coleman had suffered a campaign ending injury when he broke his leg in the Dublin draw between the sides earlier in the year. Ultimately, the road to Russia ended in disappointment for both camps. Chris Coleman left his post as Wales manager for the misery of Sunderland. O'Neill rejected offers to go back into club football to stick with his post, but that decision was not universally welcomed in Ireland. The Danish thrashing harmed his standing, but it's recent history that is troubling the Derryman as he prepares to take on a Welsh side that has enjoyed a smoother preparation under their new manager Ryan Giggs. In the past fortnight, O'Neill has been deprived of the services of Declan Rice - his best player in Ireland's three friendly games in 2018 - because an approach from his native England has turned his head. Harry Arter has decided to take a break from international football on account of a row he had with Roy Keane during the summer international window. Critics have sought to draw a link between the two episodes, which has angered O'Neill. As if things weren't bad enough, he then lost talisman James McClean to a training ground injury on Tuesday. He was already planning without likely starters Robbie Brady, James McCarthy and Shane Long. It has left O'Neill with an extremely weakened and inexperienced hand in midfield and forward areas. Veteran Jon Walters is the only player in the squad that has scored more than three international goals. His personnel choices revolve around players at Championship and Scottish Premier League level who wouldn't have been trusted for a competitive game this time a year ago. By contrast, Wales have Gareth Bale fit - he missed their meeting 11 months ago - and a midfield that is accustomed to playing together with the influential Aaron Ramsey and Joe Allen available. 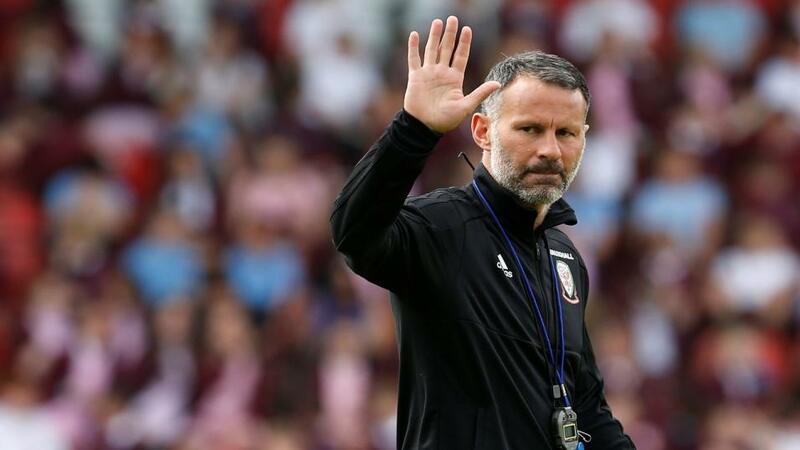 Giggs also has an exciting array of teenagers that are tipped for a bright future, although they may not be sprung here with Liverpool's Ben Woodburn and Chelsea's Ethan Ampadu names to note. Ireland were likely to be outsiders already but the events of the past fortnight have tipped the scales dramatically in Wales' favour. There is always a danger of September lethargy as international teams try to find a familiar rhythm again. But Wales have home advantage and better players at their disposal. The [2.02] about a winning start for Giggs appeals and it would be a surprise if they weren't shorter by kick-off. The caveat for Wales backers is the aforementioned fact that Ireland are essentially at full strength in the defensive department. Centre halves Shane Duffy and Ciaran Clark excelled here last October and the return of Coleman to flank them is a boost with Burnley's Stephen Ward likely to play at left back and Darren Randolph a solid netminder. O'Neill has dabbled with a 3-5-2 formation but that defensive unit with strong midfield protection is the percentage call. They can be very hard to beat when they put their mind to it and it might just take Wales a while to break them down. Hence the [5.1] about a half-time draw and Wales victory makes some appeal. Unless Ireland take a surprisingly cavalier approach - and it will be hard for them to do so with the available options - then it's difficult to envisage a high scoring affair and the market suggests as much with Under 2.5 Goals firmly odds-on. It might be worth exploring Under 1.5 Goals which is [2.4] at this juncture although it should fluctuate closer to kick-off. Last year's derbies threw up just one goal across 180 minutes. Granted, the stakes are not as high this time around as the Nations League concept will take a bit of selling. But the stalemate scenario is conceivable and taking the Under 1.5 Goals offers trading potential.